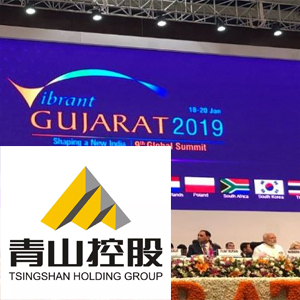 Chinese steelmaker Tsingshan Holding Group will invest $3 billion in Dholera, its founder Guangda Xiang announced at the Vibrant Gujarat 2019 summit in Gandhinagar on Friday. The company is also an emerging electrical vehicle battery producer and is considering setting up an electrical battery plant in Dholera to cater to the fast developing auto industry in India, he said. The decision was taken after company officials and representatives visited the Dholera site in the recent past.